It’s time to invest in the best with GOBankingRates’ Best Brokers of 2018. From robo-advisors to 401ks and everything in between, GOBankingRates examined the industry’s top brokers across the categories most important to investors like you. Fidelity offers the all-around best investing experience that every type of investor looks for. Founded in 1946, Fidelity has earned a reputation for high-quality investment services. Fidelity seems to have it all when it comes to what investors look for in a broker: affordable trade commissions, a wide variety of account types and investment options, and no account service fees. Fidelity makes investing easier thanks to its incredible tools, research and market insights to help you learn and stay informed. Plus, you can get up to 500 free trades for two years, both for new accounts you fund and for eligible existing accounts. 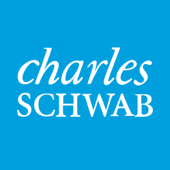 Beginner investors can look forward to paying low fees and trading smarter with Charles Schwab. Charles Schwab's all-around, solid offerings made it the Best Online Stock Broker for Beginners. Through Schwab Trading Services, you gain access to a wealth of educational and research tools as well as one-on-one consultations with trading specialists. Charles Schwab boasts the cheapest cost to trade, and a host of other features such as access to financial advisors and unparalleled research and trading tools. Make your money work for you and avoid service fees with Schwab Intelligent Portfolios. If you're looking to “set and forget” your investments, then Schwab Intelligent Portfolios — the Best Robo-Advisor — could be your answer. With no advisory fees, commissions or account service fees charged, Schwab Intelligent Portfolios is affordable while still maintaining all the features that make its customer experience second-to-none. Both you and your employer will enjoy no annual fees and more with a 401k from T. Rowe Price. T. Rowe Price is a standout in this category, providing low-costs and great customer experience. 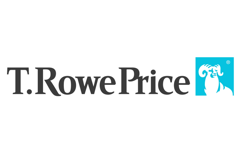 T. Rowe Price offers no annual employer fees or set-up costs, and participants can avoid fees when they subscribe to paperless delivery. On top of that, you'll gain access to over 100 no-load mutual funds and common trusts, and over 5,400 nonproprietary funds — plus, access to premier education and research tools. With no service fees and robust tools, TD Ameritrade's Roth IRA is a step above the rest. Because TD Ameritrade requires no deposit minimums or service fees and boasts a top-rated customer experience, it beats out even the heaviest competition. Its investment research and trading platforms are industry-leading. Throw in up to 60 days of commission-free trading and a full-range of investment options and TD Ameritrade might be the Roth IRA solution you've been looking for. Enjoy no annual IRA fees and no account minimums when you open an IRA with E*TRADE. As the Best IRA provider, E*TRADE excels across nearly every category. It offers a full spectrum of investment options, including thousands of mutual funds with no transaction fee. Plus, you can reduce commission fees by performing 30 trades or more per quarter, and get access to financial and tax services, which is key for maximizing your investment. We evaluated the top U.S. brokers by assets under management against a range of critical factors, including the cost to trade, number of account types, number of investment options, opening minimum requirements and overall customer experience, which includes features such as 24/7 customer service, live chat, mobile app as well as investment research and education tools. Compiled and verified against the brokers' websites between June 13 and August 1, 2018. Fees, terms and conditions are subject to change at the discretion of the individual brokerage firms. GOBankingRates is a personal finance and consumer interest rate website owned by ConsumerTrack, Inc., an online marketing company serving top-tier banks, credit unions, and other financial services organizations. Some brokers mentioned in the Best Brokers rankings are clients of ConsumerTrack, Inc., which serves more than 100 national, local and online financial institutions. Rankings are completely objective, and no institution, client or otherwise, paid for inclusion or specific placement.